Pledis Boys, formerly known as After School Boys, have been garnering a lot of interest even though they have yet to debut. The public got a chance to know more about Pledis Boys. here are some fast facts and informations about them. 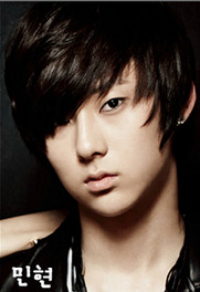 Minhyun was a back up dancer for After School Blue's Wonder Boy and was featured in both music videos and live perfs for the girls, but he gained more attention after he took the lead role for Orange Caramel's Music Video "Shanghai Romance". gaining the nickname "Shanghai Boy". he's also in the "New Balance" CF with After School Lizzy. Dongho one of the popular members in the group as he is labeled "Eye smile Prince". 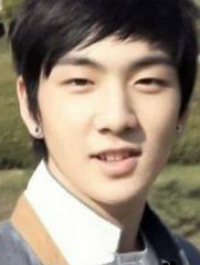 Dongho was featured in After School's Music Video for "Play Ur Love" as Raina Nana Jung-A and Kahi's Boyfriend. and became a topic of interest for netizens. fans started calling him "Play Ur Love Boy" as his name was not yet revealed back then. 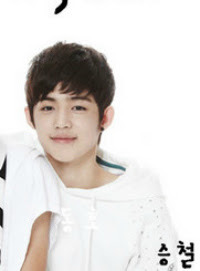 he also he made an appearance on KBS‘s “Hello” together with JR and was revealed by Kahi as a one of the member of the group "After School Boys"
Dongho is also one of After School Blue's Back up Dancer for Wonder Boy together with JR Len Minhyun Aaron and Seungchul. and appeared on both music video and live perfs. Dongho gains large interest thanks for his special role in AS Blue's live perfs as After School Juyeon's Stage "Boyfriend" with them linking arms. though he is not included in the recent photoshoots he's till believed to be a part of the group. 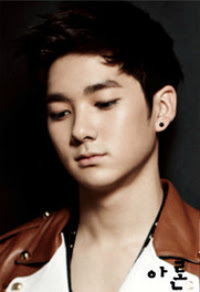 Aaron/Aron is the Korean-American member born and raised in L.A. California, he's also one of the Back up dancer for After School Blue's Wonder Boy and appeared on both AS Blue's MV and Live perfs. he's also said to be the Male counterpart of Bekah as they were both from the U.S.
Doyoon auditioned for SBS "Miracle Audition" and was also called the 2nd Jung Yong Hwa. he is also said to be lizzy's male counterpart as they are both from Busan. 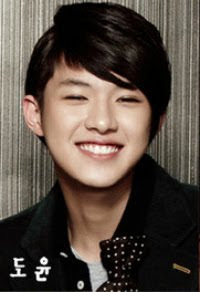 Seungchul was also a back up dancer for After School Blue's Wonder Boy and appeared on their Music Video and live perfs, the he's also one of the core members as he's been in the group ever since. Yoosang not much is known about Yoosang as he's a new face revealed in the group. rumor has it that he's the tallest within the group. 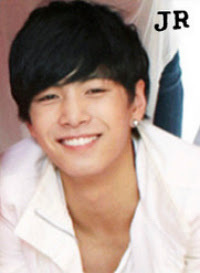 JR (also known as Kim Jonghyun) was probably the most well known member as he's the very 1st member revealed by Pledis back when they were searching for a final member, JR then got more known as he made an appearance on KBS‘s “Hello” and revealed by After School Kahi as a one of the member of the group and became a topic of interest on the internet. 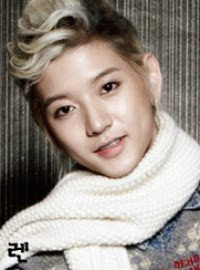 JR is also known as "Bangkok City Boy" as he was featured in Orange Caramel's "Bangkok City" as Lizzy's Boyfriend, he then later returned as the rapper for After School's U-ie's Debut song "SokSokSok" and he's also a back up dancer After School Blue's Wonder Boy and appeared on both AS Blue's MV and Live perfs. JR is also the male lead and model for the CF "New Balance" with Lizzy as the female lead. JR is also said to be one of the "Boys Choir" who sang with After School in their track "Someone is You"
meanwhile the boys are said to be part of "Happy Pledis 2011" a pledis family album and some proceeds will be donated to UNICEF.